A Massachusetts man appeared in court Tuesday on a drug possession charge with intent to distribute after authorities responded to his Walpole home earlier in the day for a fire and found an illegal marijuana grow operation. 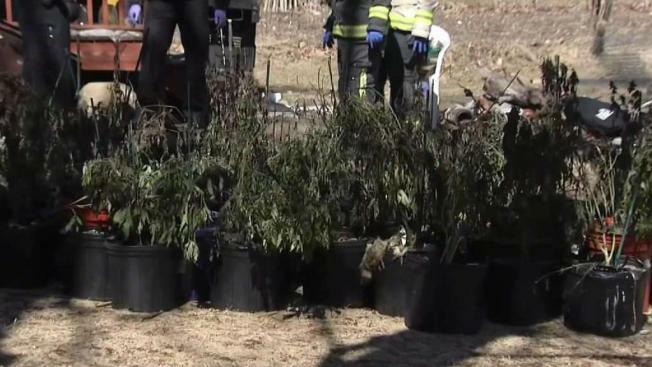 Police busted an illegal marijuana grow operation in Walpole, Massachusetts on Tuesday morning. Authorities said they initially responded to the Burrill Street home for a reported house fire. Patrick Meleo and his 18-year-old daughter got out of the house safely. But firefighters also found nearly 200 marijuana plants in the basement, which led to the arrest of Meleo. Authorities said legally, Meleo can only have 6 plants. Meleo was arraigned in Wrentham District Court on a drug possession charge with intent to distribute. His bail was set at $500. 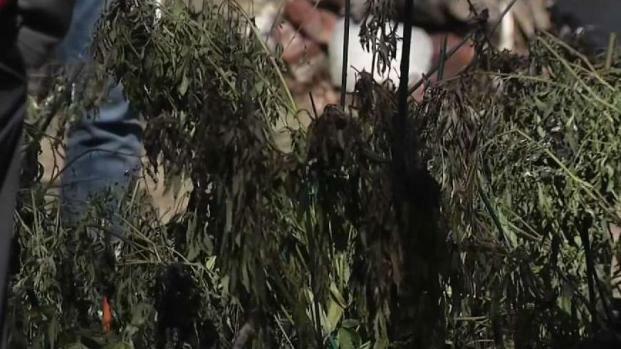 Authorities are investigating after a fire broke out early Tuesday morning at an alleged marijuana grow house in Walpole, Massachusetts. According to court documents, Meleo told investigators he has "reached hard times" with his wife dying last year and was selling the marijuana to "make ends meet." Neighbors tell NBC10 Boston they have been having problems for months with people coming in and out of the home. One woman said she was worried Meleo would burn down the whole neighborhood. "There's cars going down there all the time," said the neighbor. It's still unclear exactly how the fire started but it appears to be linked to the wiring used to grow the plants. "There's a lot of bootleg wiring components and electrical cord going in every different direction," Walpole Police Chief John Carmichael said. "There's very high heating lamps and grill lamps that are down there." Recreational marijuana was legalized by Massachusetts voters in 2016; however, residents 21 years old or older are only allowed to have up to six plants in a home if they live by themselves or up to 12 in a house with two or more adults.